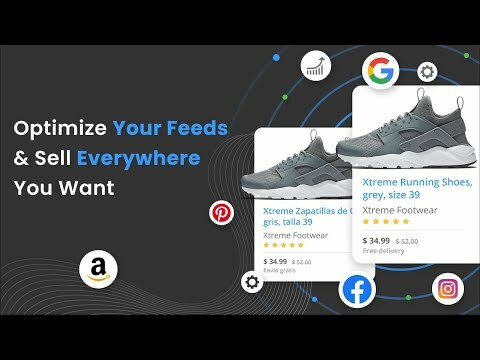 Optimize Data feeds for 1,000+ Shopping Channels (Google, Amazon, Facebook, Bing, eBay, Nextag, Shopzilla, etc.) in over 50 countries. Intuitive: Mapping data feeds has never been easier. 24/7 Support: We are always around on live chat, email and phone. DataFeedWatch enables Volusion merchants to optimize their product data feed for Google and 1000+ other shopping channels in 50 countries. Try out DataFeedWatch for Free and experience first hand how easy managing and optimizing feeds is. Full support available during trial period. DataFeedWatch is very intuitive; 95% of our customers create their first feed without any help or instructions. Every functionality you need to create and optimize your data feeds is available. From basic mapping to categorization, from hourly downloads to variant-management and from creating filters to uploading lists with products. You can also review the performance of every product on every channel, enabling you to better optimize your campaigns. To learn how we can help you increase the performance of your product feed Schedule a DEMO.